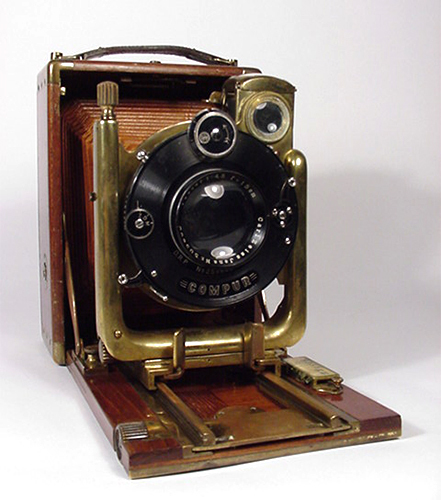 Tropen Rio cameras were manufactured by Orionwerk A.G. of Hannover, Germany, ca 1920. 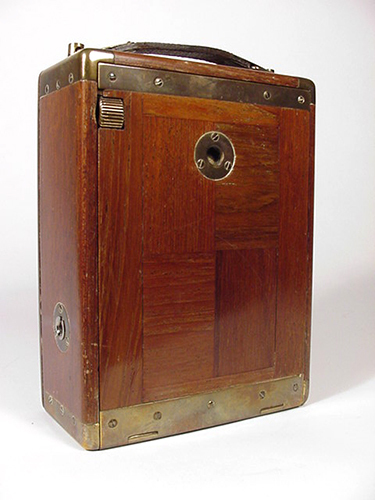 Made of teak and brass and with a good looking brown bellows, this is a handsome camera intended for use in tropical climates. This example is the model 5C which has a faster lens than the model 2C. 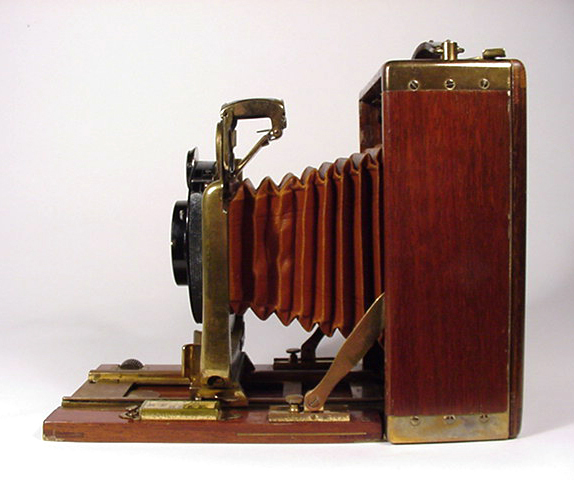 It is equipped with a Carl Zeiss Tessar 15cm f4.5 lens and Compur shutter. Film format is 9x12cm. An interesting detail is the camera has a unique bayonet mount allowing the lens and shutter to be easily removed or interchanged. There is a reflection across the lower portion of the camera in this photo. Overall the wood and brass are in very good condition. A small piece of leather is missing from the edge of the focusing hood. 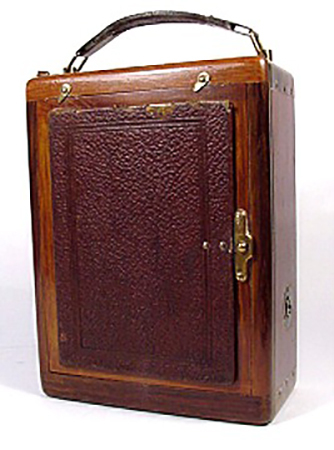 A matching brass Orionwerk 9x12cm film pack adapter and the original leather case are included with the camera.